As a new Kavanaugh accuser pops up every ten minutes or so, I have to wonder just how much Soros and his flying monkeys in the Democrat Party are having to pay these women. Talk about high-dollar hookers! Granted, those women have little to fear, with a milquetoast Republican Party that will give them the benefit of every doubt regardless of how ridiculous their story, and treat them like royalty, ceding to their every demand. So, what do these women have to fear? Nothing! They can tell the most preposterous 40-year-old lies and challenge Grassley to disprove it, which is impossible. 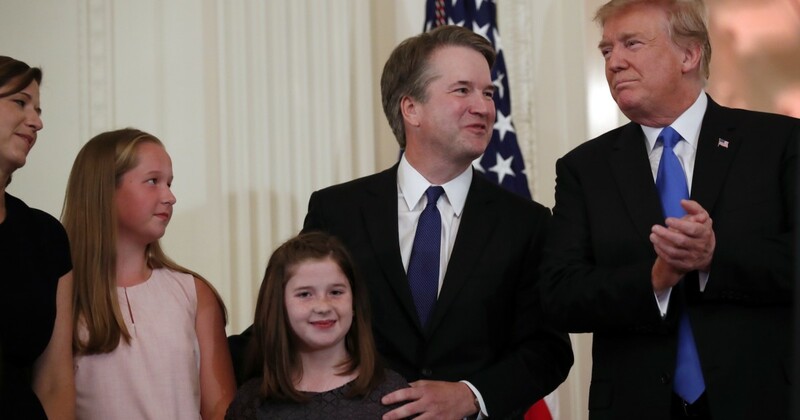 The distractions all add up to exactly what the Democrats are attempting to achieve – stalling the confirmation of Brett Kavanaugh until after the midterm elections. Only Chuck Grassley stands in their way. There are now multiple reports that “serious death threats” have been made targeting Brett Kavanaugh’s young daughters. Did anyone ever think the Democrats would stoop that low? Or the better question is did anyone ever doubt that they were capable of it? Really? Tell that to Steve Scalise, dumbass! Feinstein should be removed from the Senate and Ford investigated, and if her allegations prove false, as they obviously are, she should be prosecuted. A woman in CT was just sentenced to a year in jail for lying about being sexually assaulted and destroying two men's lives. That is what the Dems want. Don't you get it? They want to stall the confirmation until after the midterms. If you think the FBI can pull off an investigation from 36 years ago in three days, then you are on dog food. Ford is lying, you know it and she should go to prison for it. That’s what happens when you fiddle around and try to be honorable as Grassley has. He gave these people more time to come up with lies. He better learn to play dirty with these people.